Women have all sorts of funny names for their periods. A woman’s period, or menstrual cycle, is the monthly changes in a woman’s body to prepare for the possibility of pregnancy. While many women’s periods do not occur on the exact same day each month, there are tell-tale signs that say that Aunt Flow is on her way. Cramps, irritability, bloating, and fatigue are all common symptoms. But what does it mean if you experience one of these symptoms, like cramps, but no period? Finding the answers you need is simple with FastMed Urgent Care. With locations throughout Arizona and North Carolina, FastMed delivers medical care you can count 7 days a week. I Have Cramps, but Where Is My Period!? One of the most common causes of cramping without a period is early pregnancy. In fact, when women experience cramps without menstruation, there is a very good possibility that she may be pregnant. This is the most prevalent cause of discomfort in the lower abdomen in the absence of menses. Ectopic pregnancy occurs when a fertilized egg implants itself outside the uterus (usually in one of the fallopian tubes), and although an ectopic pregnancy cannot proceed normally, early treatment can help preserve the chance for future healthy pregnancies. Endometriosis happens when the tissue that usually lines your uterus starts to grow outside of the uterus. If left untreated, endometriosis can cause infertility. Stress. High levels of anxiety can directly affect your menstrual cycle and cause your period to be late or cause cramping with no period. Ovarian cysts are fluid-filled pockets on the surface of your ovaries that are usually harmless. However, ovarian cysts that have ruptured can be extremely painful and require medical attention. 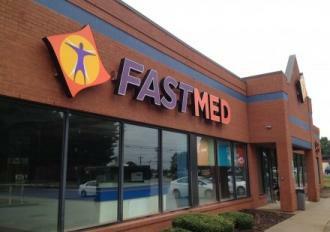 With clinics throughout North Carolina and Arizona, finding a FastMed in your neighborhood is easy!